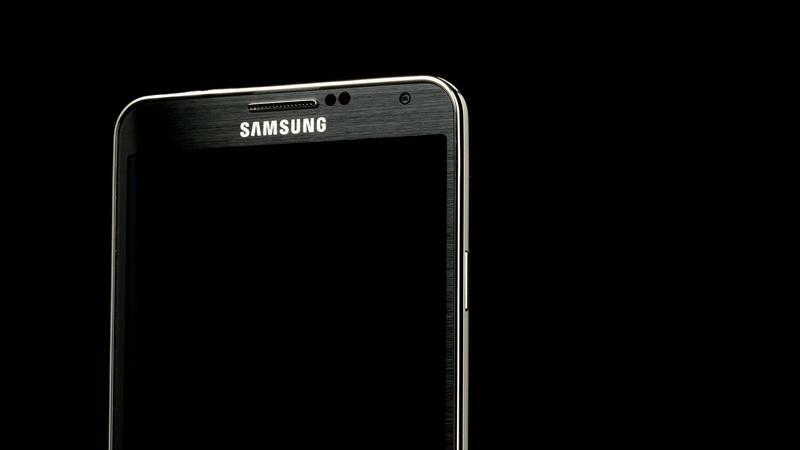 Samsung recently announced that it will hold press conferences in Berlin, New York and Beijing on Sept. 3. The invite pretty much confirmed that this is where Samsung is going to unveil the Samsung Galaxy Note 4 to the rest of the world for the very first time. TechnoBuffalo will be covering the event live from two of those locations, Berlin where we'll be on the ground for IFA, and New York. 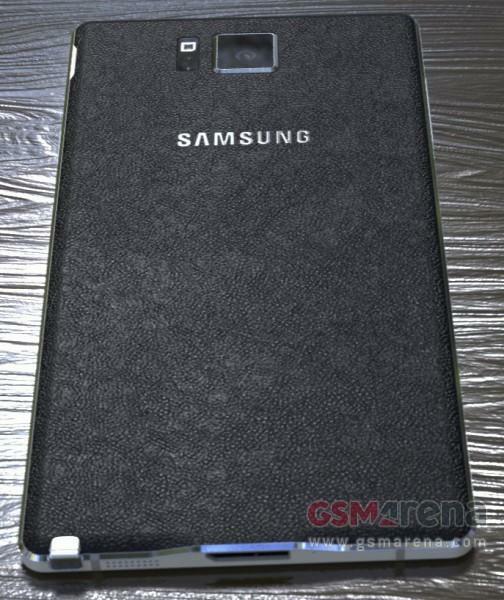 There have been plenty of leaks regarding what we can expect from the Samsung Galaxy Note 4, but until this week we still didn't really have any idea what it's going to look like. If the pictures we saw are legitimate, then we gain a little more knowledge as to what Samsung has up its sleeves. Still, the rumors of a curved Galaxy Note 4 aren't dying down, so we have to address the possibility of several models, too. Let's take a look at what we're expecting the Note 4 to feature. This one is pretty much a given at this point. We're definitely expecting Samsung to reveal a 5.7-inch Quad HD display with the Samsung Galaxy Note 4, which will help it compete more aggressively against the LG G3, which already offers that super-high resolution screen. Samsung is a master of display technology and we're hoping this one really blows us away. Based on the most recent crop of photos, we think the device will have a near edge-to-edge display, too, with minimal bezels. While we're on the topic: there have been rumors of a Samsung Galaxy Note 4 with either a rounded display or some sort of display that covers the edges of the phone. That's not what we saw in the most recent leaked images, but patents have proved that Samsung is at least toying with the idea. 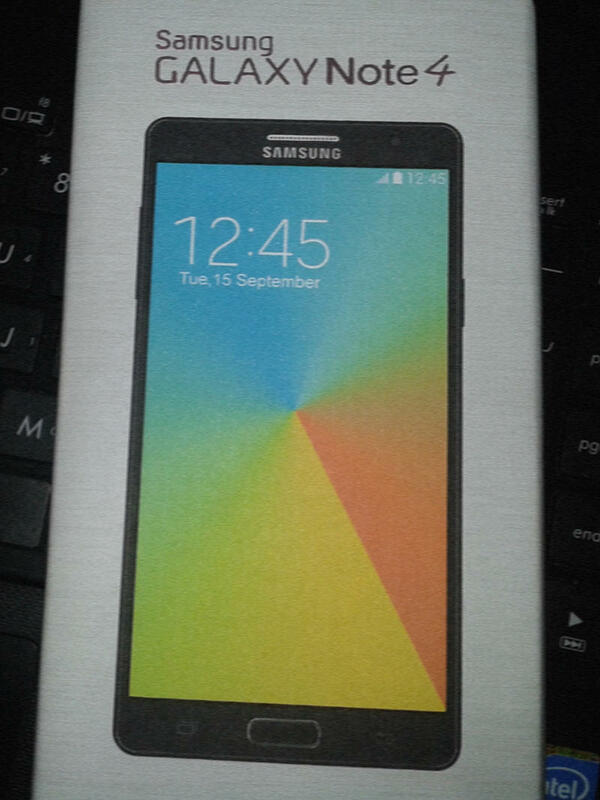 It's possible we'll see two different Note 4 devices at IFA, so keep an eye out for one with a more unique screen, too. Finally, right now we're expecting a bump in the processor to at least a Snapdragon 805 chip in some markets, though it's likely Samsung will toss in a new Exynos chip for other areas where that chip is more common (like Europe and Asia). A 16-megapixel camera bump also seems likely. In July some spilled APK files for the Samsung Galaxy Note 4 listed off several features we can expect from the device. We already know Samsung is working with Oculus on its own virtual reality headset that will work with its latest smartphones. The Galaxy Note 4 has a "VRSetupWizardStub" APK file that suggests Samsung will introduce the virtual reality headset in tandem with this phone, and that the virtual reality headset and Samsung Galaxy Note 4 will work hand-in-hand. Other APK files added support for the Quad HD display, new S Health 3.5 software (more on that later) and a fingerprint reader. The virtual reality headset is largely expected to function similarly to Google Cardboard, serving as a shell that can be paired with a Galaxy product to serve as a fully-functional virtual reality headset. We don't know much more other than that right now. 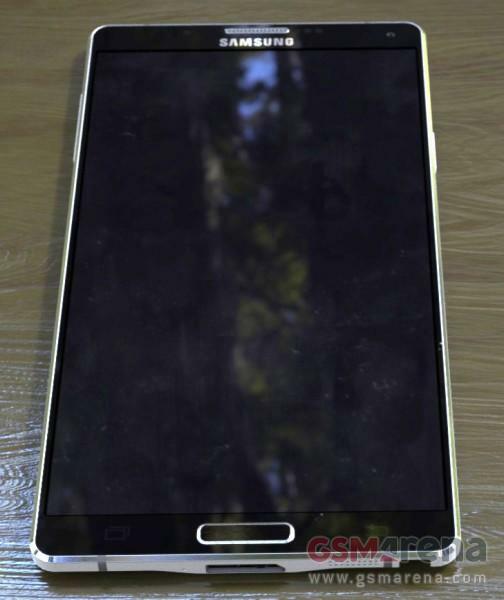 A leaked patent from Samsung suggests that this Samsung Galaxy Note 4, or a handset soon after it, will feature the most impressive S Pen to date. The patent described using ultrasound waves to pinpoint the S Pen's location at all times using a series of sensors positioned around the phone's display. Hopefully that means even more accurate note-taking, which would be an impressive step since we have few complaints about the current S Pen. Either way, there's definitely bound to be improvements on note-taking and what you can do with Samsung's S Pen, which is likely to get a full redesign. The images that we saw this week really blew us away. 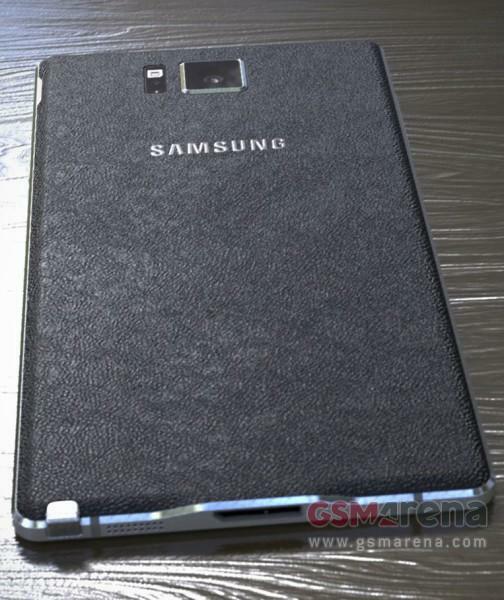 The Samsung Galaxy Note 4 looks super thin and has premium-looking chamfered edges. A Samsung exec recently confirmed that one of its upcoming smartphones will employ the use of metal instead of plastic. The recent images might reveal a little bit of metal, but we're largely expecting that material to be saved for the rumored Galaxy Alpha. The back of the Samsung Galaxy Note 4 appears to have the same sort of sandstone material used on the OnePlus One, which we love, and it looks like the faux leather has officially hit the road. Overall, expect a thinner design with a more refined body in addition to more premium features, like a Quad HD display, across the board. The latest batch of leaked photos suggests that Samsung is going to include the heart-rate monitor found on the Samsung Galaxy S4 on the Samsung Galaxy Note 4. That seems pretty natural, as does the addition of the expected fingerprint reader. However, one report mentioned that Samsung is toying with adding a UV sensor on the back of the phone. This could be used to tell you how dangerous the UV rays are on a given day, possibly alerting you to load up on the sunscreen – even if it's cloudy and appears safe – or to stay indoors if your skin is potentially sensitive. All of this may tie-in to the new S Health 3.5 software that was mentioned in a batch of leaked SDKs, which means it may soon be home to even more valuable health information. Apparently the Samsung Galaxy S5 wasn't as successful as Samsung was hoping it to be, and with the iPhone 6 and rumored iPhone Air coming this fall, rumors suggest that Samsung is rushing to get the Samsung Galaxy Note 4 to market. The company has allegedly already asked manufacturers to boost production so that the phone can get to market mere days after it's announced on Sept. 3. That's much quicker than Samsung's usual schedule of getting the phone to carriers a few weeks or a month after the device is announced, and it could certainly give Android fans clamoring for a new phablet a reason to avoid choices from competitors. Unlike with other phones, we haven't actually seen a bunch of leaked parts and photos of the Samsung Galaxy Note 4 until recently. That means we're still mostly sitting in the dark. Thankfully, there have been several rumors and leaked patents that have helped paint a clearer picture of what to expect this fall. Whether or not Samsung reveals two models – one with the rumored three-sided display and a standard version – is still a mystery. And whether or not it uses metal instead of plastic is still hard to tell. Still, expect hardware bumps in nearly everywhere possible, some new features like a fingerprint reader and heart rate monitor, and more. Again, TechnoBuffalo will be reporting on the launch from both Berlin and New York City, so we'll have everything for you as soon as news hits on September 3.